Independent living communities are designed for healthy, active seniors who are 55+ and do not need assistance with daily activities such as eating and personal care. Independent living accommodations can range from apartments, to cottages, houses and other luxury communities. Seniors who reside in independent living benefit from convenient services, senior-friendly surroundings and senior events held within the community. These communities are typically private pay and offer optional services such as housekeeping, meals and laundry. All information was taken from the website aPlaceforMom. For more information on other services available to seniors, please visit their website here. The Community Care Access Centre (CCAC) provides services that help seniors stay in your own home by connecting them with in-home care and support services, as well as services within the community. 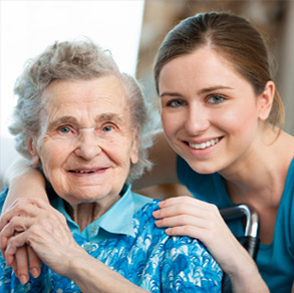 For those who cannot live independently at home, they provide help with long-term care options. Applications can be made by calling the Local Health Integration Network or by visiting their website. You can apply for rent geared to income housing/subsidized housing. Please contact Housing Access Peterborough at 705-742-0439 or visit their website here. Visit our Affordable Rental Housing section for more information. Please note there is a wait list. For rental housing provided by private landlords, please visit our Vacancy Listings Page, and our Property Management Company List for information to help with a housing search. For housing information or support services please contact the Housing Resource Centre at 705-743-2272. To apply for one time financial assistance to find or keep housing. Please visit our Emergency Funds page for more details.